Girls are notorious for not taking a liking to video games. I am not sure why most girls would rather spend their time doing more productive things but I am looking to change that. The first game that I have come across that I think will change the way girls spend their time is Mario Kart for Wii. I am suggesting the wii version because of the type of controller that the system has and because of the simplicity that the controller brings to the game. I am not saying girls are simple or that we only like simple things I'm just suggesting that the amount of memorization and effort that is required to remember and execute moves on a typical controller is not ideal for a girl. If a girl wanted to waste that much time, effort, and brain power on something, her first choice would not be a video game. Girls are more goal oriented than guys are so they would rather spend that time working towards something that will make her life easier or better in the long run, rather than investing hours in a video game that when you complete it all you get is the satisfaction of finishing a game that you didn't even have to finish. Basically girls like to see results fast or at least invest our time in something that will benefit us in the real world. This is why I believe Mario Kart Wii is the best game for a girl to play. We know the controller is very intuitive so what about the gameplay makes it good for a girl to play? Mario Kart is a fast-pace game that gives you results after just three minutes of gameplay. You start the console and put the game on and you hear "Mario Kart Wii". Well isn't that cute? The game tells you the simple controls and you take note, simple enough. Then you get to choose a cute character. 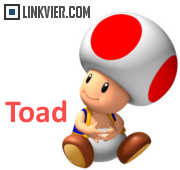 I always choose toad because he is cute and tiny and goes the fastest. You are then prompted to choose a vehicle. You choose one and then you may start the race. Here is where it gets very interesting. while you play the game you are against a bunch of computers, if you are playing alone, you can set tiny goals to try and beat players and you can set an overall goal to be in first place when you finish. My boyfriend says that it is possible to get three stars but I doubt it or I would have gotten it. Already you can get the satisfaction of an accomplishment and the game has not even ended yet. When the race is over you have three more races that you get to compete in before you get your final score along with a trophy. If you finish in first place you get a gold trophy and you get a score which is either a letter grade or if you are really good, like I am, you can get a star or two. My boyfriend says that it is possible to get three stars but I doubt it or I would have gotten it. Mario Kart Wii is also amazing because you get to unlock characters, bikes, karts and the mirror level. I recommend this game to everyone but especially girls. if you want to get into video games this is the one to start with. Mario Kart Wii makes you want to play by yourself so you can unlock new stuff and get better at the game. This is good because when you do finally challenge someone, you will be the winner in every race. With that I leave you. Happy gaming.